Whatever takes you away from home, we’ll show your dog a great stay in the country so you can relax at play or focus on work or family. Your pet will enjoy an entirely different and wonderful dog boarding experience when boarding at Hill Country Pet Ranch in Boerne, TX. During the day, your dog can relax in their air-conditioned room, or stretch out in their private patio and take in the sun. Dog Boarding + Activity Package = Best Dog Vacation Ever! Your dog’s stay with us has two parts—his basic dog boarding and an activity package you choose specifically for him. Private, air-conditioned rooms with all-day access to a personal outdoor patio. Why do we recommend an activity package for your dog’s stay? 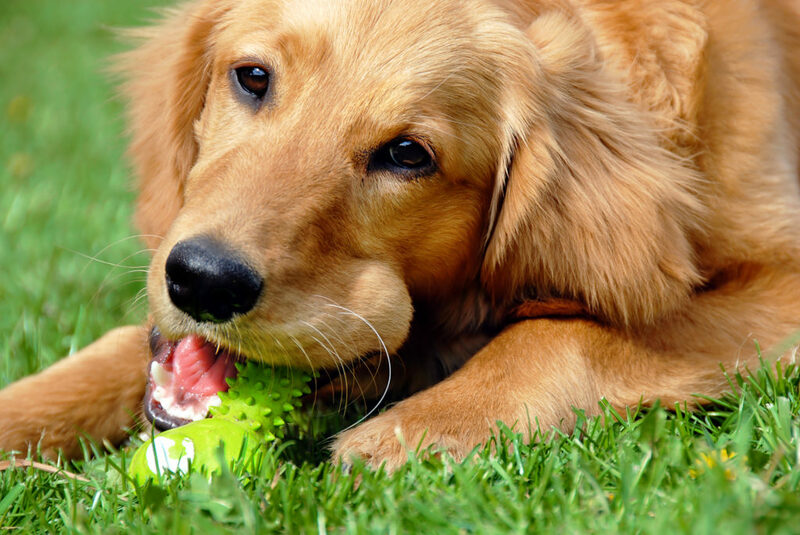 Our pet-friendly, fun loving, and experienced staff at Hill Country Pet Ranch can find just the right toy, play the right game, or lead your pet on a nature-filled hike. Our Luxury Suites occupy a wing of the main office building. Larger and quieter than our standard rooms, they have floor to ceiling walls, luxury bedding, a rug and piped-in calming music. We are easily accessible to Boerne, Fair Oaks Ranch, Bulverde, Northwest San Antonio and surrounding areas. Every dog is different. That’s why we offer several packages to choose from, and then customize each experience to your dog’s preferences and personality. Check out our activities. 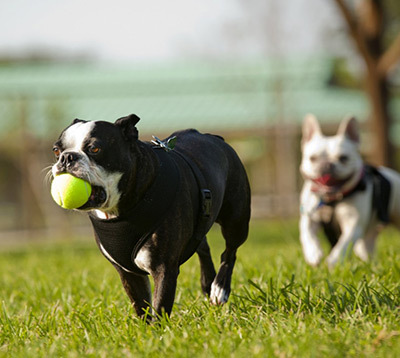 Discounts apply when you choose our dog boarding activity packages with multiple activities. Individual Playtime or Pampering: One of our staff focuses on what your dog loves to do- fetch, Frisbee, splash time, cuddles. Your dog is sure to have a blast for just $8 per session. Group Play: Dogs who are social and play well with other dogs will enjoy our safe and supervised group play sessions. Business Walks: Take an extra trip to the outdoor elimination areas for our canine friends who prefer additional potty breaks. Extra business walks are $5 each. Splash Time: Weather permitting, your dog can take a refreshing dip in our pool. A swimming playtime is $20 per session. Bedtime Tuck-ins: Just like at home…the ultimate pampering! One of our staff gets the fun job of cuddling your pet and preparing your pet for a quiet and peaceful night of rest for just $5. Homemade Yummy Treats: What fun! Delicious, home-made treats to give your pet a great mid-day break. Bathing & Grooming: Treat your pampered pooch to a refreshing bath and brush, nail trim, shed control or a full grooming and styling appointment in our Pet Spa. Do I have to choose an Activity Package? No, but we take an active stance against traditional kenneling. Our activity packages are designed to help minimize the stress dogs feel when away from their home. Loving attention from our staff allows your pet to relax and make new friends. You know your dog best, so we ask you to choose your dog’s activity package to help us customize his stay and show him the best time possible. Has your pet never stayed away from home before? Never stayed with us before? Bring your pet in during the week for an overnight stay – our treat. The Pet Ranch can accommodate the special needs of both puppies and geriatric pets. Call our Reservation Specialist to discuss your dog’s special needs. Good health policy: For the safety of all dogs in our care, every dog who stays with us must be current on all vaccinations.